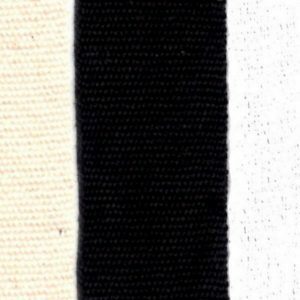 Bulk Woven Tape 20mm wide in 100% cotton available in black, natural or white in 25m or 50 m rolls for those larger projects. 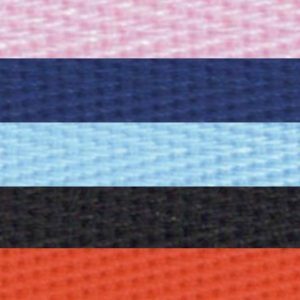 If you require a smaller quantity of the 20 mm woven tape, please refer to codes 540 or 541. Cotton Tape: White 5m x 12mm. 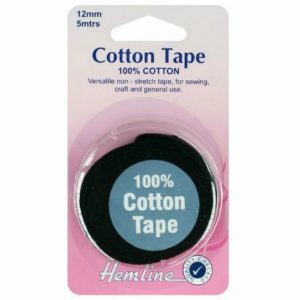 Versatile non stretch tape for sewing, craft and general use. 100% cotton. 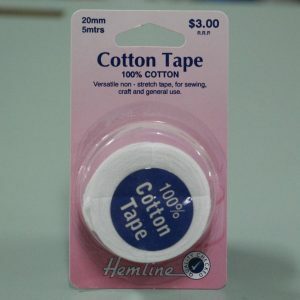 Cotton Tape: White 5m x 20mm. Versatile non stretch tape for sewing, craft and general use. 100% cotton. Cotton Tape: White 5m x 25mm. Versatile non stretch tape for sewing, craft and general use. 100% cotton. Cotton Tape: White 5m x 6mm. Versatile non stretch tape for sewing, craft and general use. 100% cotton. 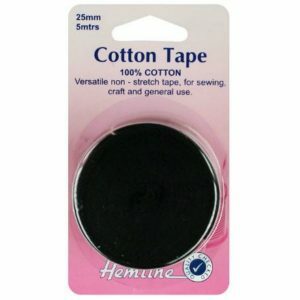 Cotton Tape: Black 5m x 12mm. Versatile non stretch tape for sewing, craft and general use. 100% cotton. Cotton Tape: Black 5m x 20mm. 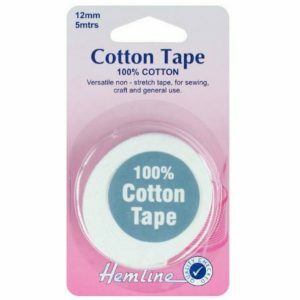 Versatile non stretch tape for sewing, craft and general use. 100% cotton. Cotton Tape: Black 5m x 25mm. Versatile non stretch tape for sewing, craft and general use. 100% cotton. Cotton Tape: Black 5m x 6mm. 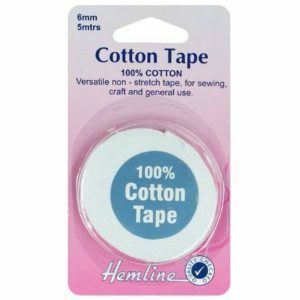 Versatile non stretch tape for sewing, craft and general use. 100% cotton. 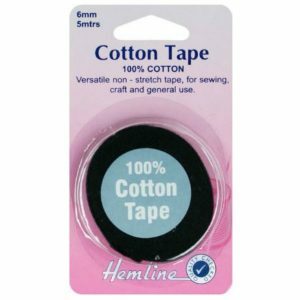 Cotton Herringbone Tape is available in 4 popular widths – 20, 25, 38 and 50 mm. The wider widths are often used in the popular craft of bag making. 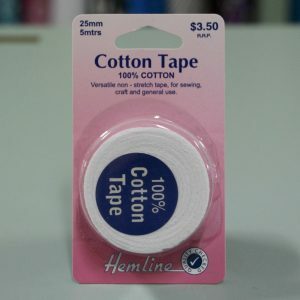 A soft finish tape which is easy to handle, easy to tie, easy to sew. 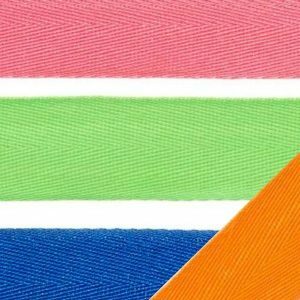 Available cut to length required, or full roll size is 50 m.
Polyester Herringbone Tape is availabe in 20 and 25mm widths and a range of colours. 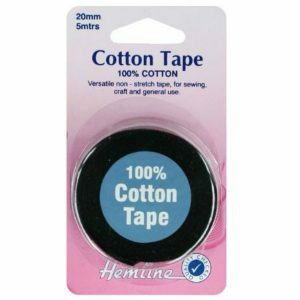 This tape has a soft finish very similar to the feel of cotton herringbone tape. Available cut to length required, or full roll size is 50 m.